Gone are the days when creams, moisturizers, and lotions were the only saviors for our skin. With the rapid advancement of the skincare industry, plenty of other products have been launched to help us enhance our skin texture and make it look gorgeous. The body butter is one such product that claims to make our skin buttery soft and silky smooth. 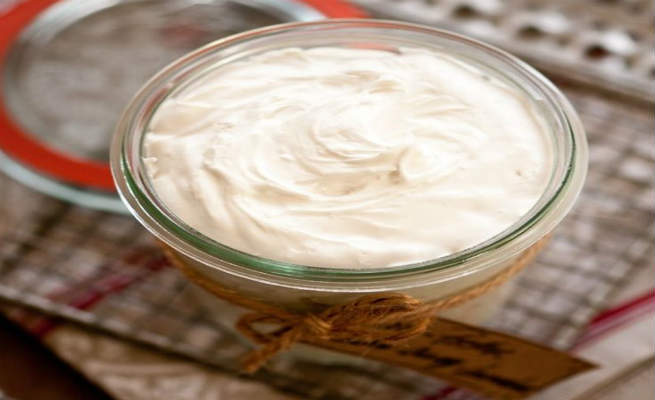 While commercial body butter products can be filled with chemical compounds that indirectly cause harm to your skin, you can always opt for DIY body butter recipes to enjoy the same rich and luscious experience with zero damaging effects. In this article, we will be talking about some of the best homemade body butter recipes that you should give a try. The body butter is a kind of body moisturizer that induces deep hydration and moisturization into the skin. It is an amazing skincare formula, which is richer, denser, and more easily absorbed into the skin than its regular counterparts like body oils or body lotions. Its unique blend of ingredients can revive any type of skin instantly by providing intense hydration to it. Moreover, it creates an extra layer of protective barrier over the skin in order to lock moisture in it. It also nourishes the skin with vital nutrients, such as essential fatty acids, fat-soluble vitamins, omega-3 fatty acid, and so on. When Should You Use A Body Butter? Is the winter leaving your skin dry, parched, and flaky? Is it so much that your body lotion is not enough to combat the dryness? Or, maybe you are worried about all the chemicals that are going into your body from your lotion and want a natural alternative to it. Whatever the situation is, you should give the body butter a try. Your skin needs intensive moisture during bitter winters, which comes only from a thick and rich body butter. And if it is made of natural ingredients, it can even fight against extreme dryness effectively. As per the application, it is always recommended to use body butter right after having a shower or bath. You can pamper your hands and/or feet with body butter every night and wear pair of gloves and/or socks. This will keep them super soft and smooth. 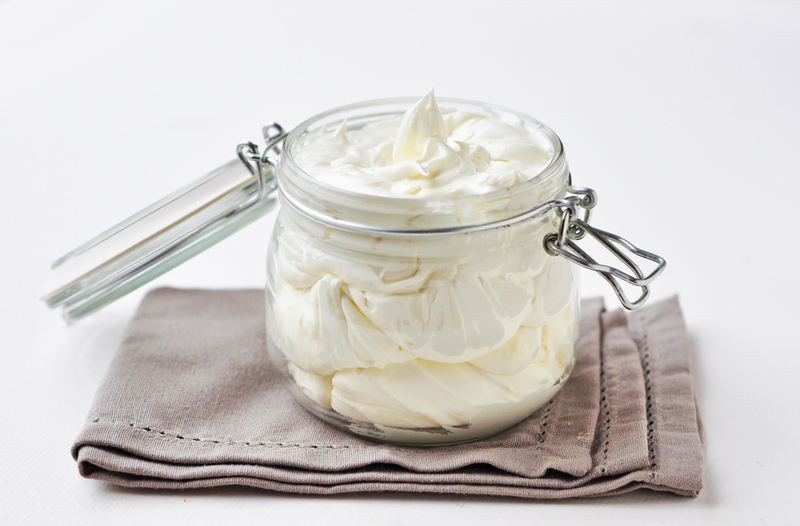 How To Make A Rich Body Butter At Home? 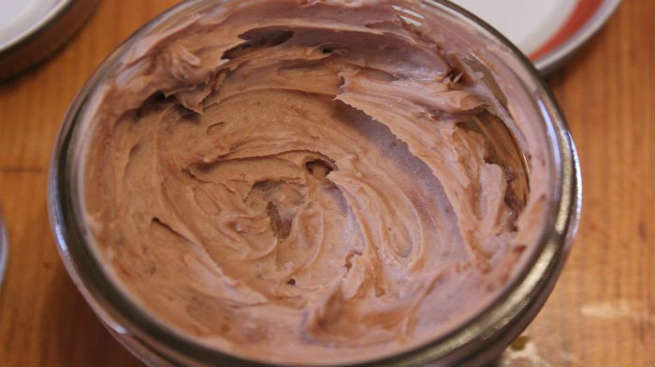 Preparing your own natural body butter at home is easier than you think. Primarily, you need a rich moisturizing base for this purpose. Typically, virgin coconut oil or cocoa butter or shea butter is used as a body butter base and you can get it easily from your local chemist or nearby beauty product retailer. All other ingredients can be picked according to the requirements of your skin as well as your desire. 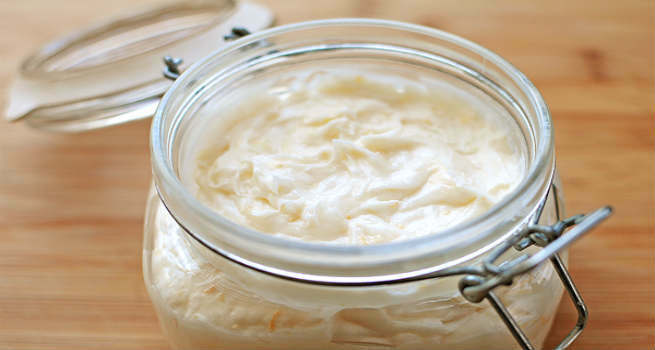 A homemade body butter does not contain preservatives. Hence, you must make it in small batches so that those get used up within a week. You can store your body butter jar in a cool and dry place. Now, here we give you some simple yet lush homemade body butter recipes that will help you get soft and smooth skin. Coconut oil is a natural moisturizer while honey works as a humectant. So, when they combine with each other, can it be anything lesser than a true elixir for our skin? Adding a touch of citrus to it will keep you fresh all through the day. Prepare It: Whip together half a cup of coconut oil (refrigerated for an hour) and two teaspoons of honey. As it starts lathering up into a nice thick cream, add a few shavings of lemon or orange rind to it and whip again. You have your very own citrus fragrant body butter ready with the goodness of coconut oil and honey. Use It: Apply it all over your body to get a skin that feels nourished and smells fresh. Also, apply it to your elbows and knees to get rid of rough skin. Both shea butter and beeswax are intensive natural moisturizers (solid at room temperature and need to be melted in a double boiler before using). Combine them with coconut oil and you will get a super rich moisturizer of wonderful creamy texture. Also, the beeswax has a subtle scent of honey, which makes this body butter really fragrant. Prepare It: Take 1 cup of melted shea butter and pour 1/2 cup coconut oil and 3 tablespoons of melted beeswax into it. Place the entire thing over medium flame and keep stirring until the blend thickens up. Let it cool down completely and refrigerate it for 2 hours. Then, take it out and whip it up into a nice and fluffy body butter. Use It: Slather the body butter on your skin focusing on the flakiest parts. Do not forget to show some love to your face too. Isn’t the vanilla-cocoa combo drool-worthy? They are not only pleasing for our taste buds but also quite lovable for our skin. So, how about making a body butter with it? However, you need to melt the solid cocoa butter in a double-boiler before starting just like the previous recipe. Prepare It: Add 1 cup of melted cocoa butter to the mixture of 1/2 cup of almond oil and 1/2 cup of coconut oil. Add a few drops of pure vanilla extract to it and refrigerate for 2 hours. Now, whip the whole thing till it becomes creamy and frothy. Use It: Spoon out the butter in a jar and slather it on your skin. It smells so good that you would definitely want to eat it!